In our last post, we celebrated the recent addition of ancient Ephesus to the UNESCO World Heritage List by describing the various sites of such distinction that we visit on our tours and cruises of Turkey. The next post – incidentally – will be about Italy, where the Arab-Norman heritage of Palermo and surroundings received the same honour this year. But, moving from East to West, there’s some ground to cover first, some seas to cross and a whole country to deal with: Greece. The “cradle of western civilisation” is home to a host of immensely significant sites, places of importance, interest, beauty and impact. Not all of them reflect the civilisation we call Classical Greece – they range from prehistoric citadels via Classical temples to Byzantine monasteries and beyond. The most obvious image of Greece and one of the most famous architectural monuments in the world, the Acropolis is the sacred rock in the heart of the city, ancient and modern. Settled since prehistory, it became the citadel of a Bronze Age realm and later the formal religious centre of the Classical city. 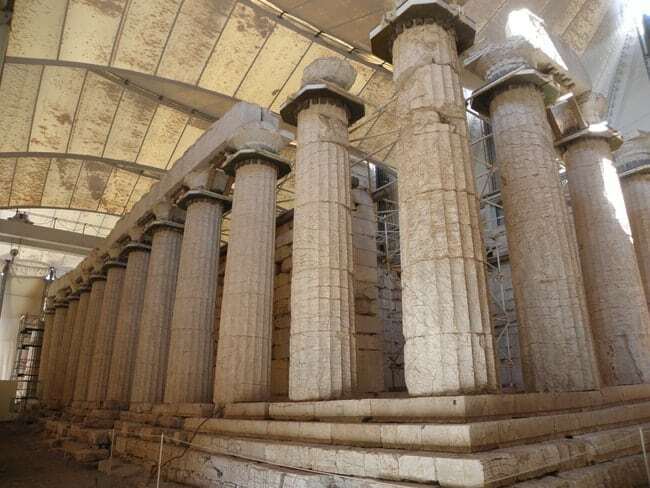 Its redesign, masterminded by the political leader Perikles and the artist Pheidias, began in 450s BC, when Athens was at the height of her wealth and power. The main monuments than built include the awesome Propylaia, the ornate Temple of Nike, the highly original Erechtheion and – of course – the mighty Parthenon. A visit to the Acropolis should also include the shrines and sanctuaries along its slopes – and the state-of-the-art Acropolis Museum with its wonderful collections. The Acropolis, in its full historical and urban context, is a central highlight on our Athens tour, and can easily be visited before or after our Peloponnese tour, which starts and ends in Athens. Guests on both tours could also easily add a visit to the UNESCO-listed monasteries at Daphni or Osios Loukas – or even a day trip to the Archaeological site of Delphi, the famous oracular sanctuary to Apollo, another World Heritage site. The Peloponnese, the legendary and historical peninsula that makes up the southern part of the Greek Mainland, is an area of immense historical and cultural wealth. 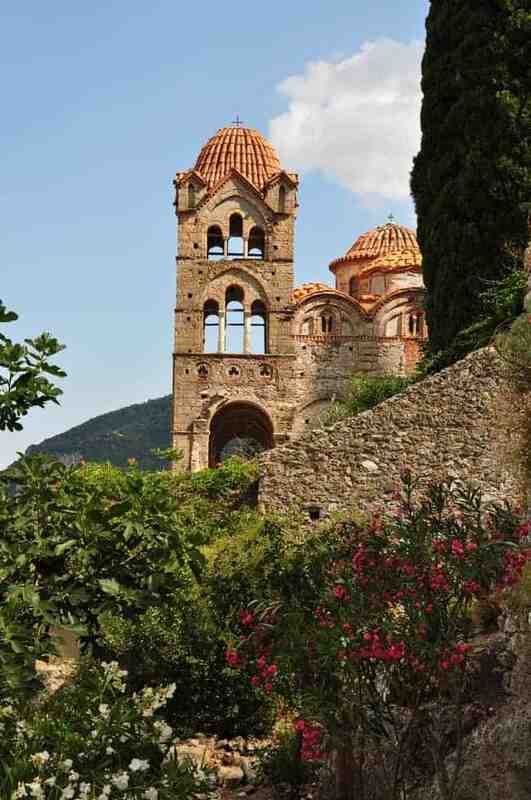 Our Exploring the Peloponnese tour is an in-depth experience of its remarkable beauty and variety. Currently, that itinerary includes no less than five UNESCO World Heritage sites! 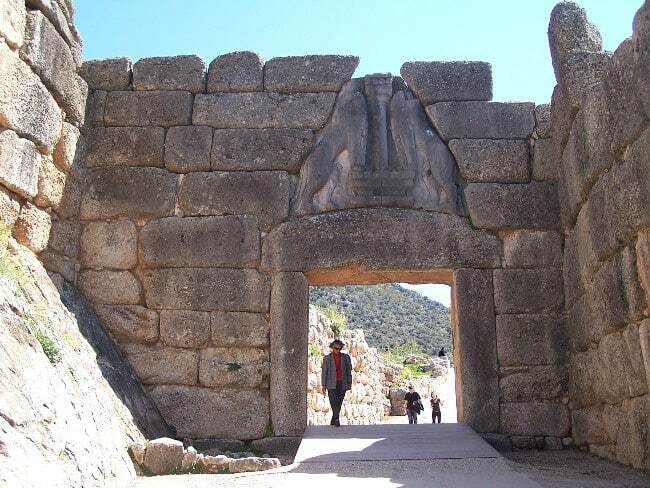 The 3,300 year-old Lion Gate at the Bronze Age citadel of Mycenae. These are the two best-preserved of the great Mycenaean citadels surrounding the Plain of Argos. Linked with the mythology of the Homeric heroes and of Heracles, the quintessential hero of the Greek mainland, they were the incredibly well-defended centres of the palatial civilisation we call Mycenaean, thriving between 1500 and 1200 BC. Complex gates, underground cisterns, the so-called palaces, enormous tombs in their vicinity, and many other features make them first-rate sites, expressions of a still poorly-understood ancient culture. To this day, their remains are jaw-droppingly monumental and highly evocative – but hard to understand without an expert guide(!). On our tour, we bring them to life and help you understand their significance, helped by the superb accompanying museums at Nafplio and at Mycenae itself. 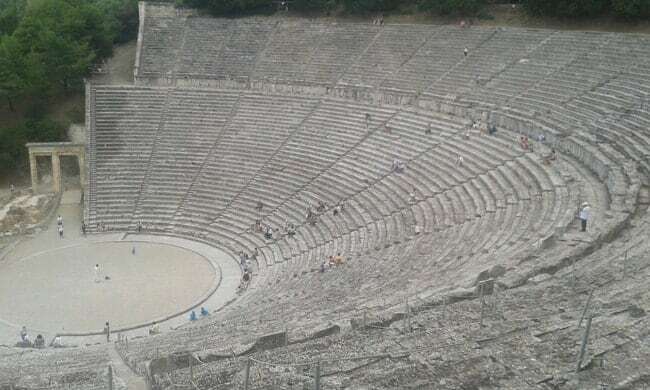 Beautiful: the ancient theatre of Epidauros. Near the shores of the Saronic Gulf, this is a place renowned for its peaceful and serene atmosphere, for its setting in a particularly peaceful and lovely Mediterranean landscape, with the scent of pine trees wafting across the site, but especially for its ancient theatre. The latter is considered the most beautiful and most perfectly proportioned of its kind, creating a strong sense of focus, helped by the superb acoustics, and an impression of harmony that belies its enormous size: it seats over 14,000. The remains of the nearby sanctuary, dedicated to Asklepios, the God of Healing, are also fascinating, showing the structure and functions of an ancient health resort. Remains of the Temple of Zeus at Olympia. 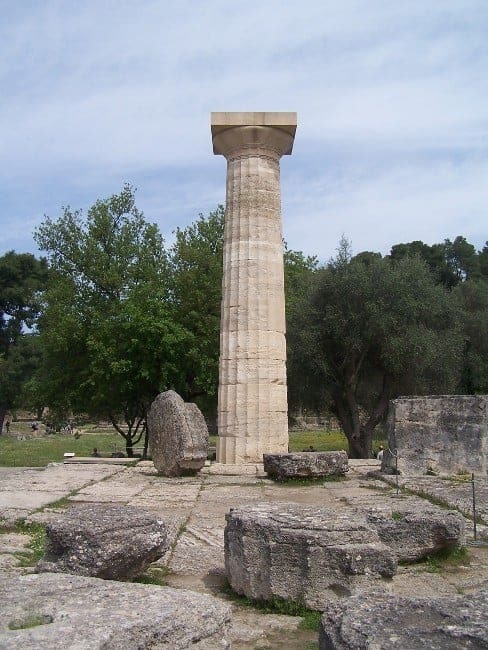 One of antiquity’s most famous places, Olympia is the site of a major panhellenic (all-Greek) sanctuary dedicated to Zeus and locale of the original Olympic Games. Its remains, mostly from the 7th century BC to the 5th AD, are extremely interesting, making it easy to imagine the place in its heyday. 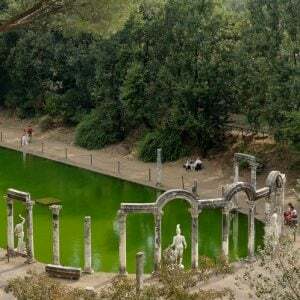 The monuments visible at Olympia include the famous Temple of Zeus, once home to the gold-and-ivory statue that was one of the Seven Wonders of the Ancient World, the venerable Temple of Hera, the bouleuterion or council chamber, an ancient hotel, the training facilities and – of course – the mother of all stadiums. The fact that all of the Greek World attended the Games, which took place every four years, meant that the participating city states all tried to be visibly represented and commemorated on the site, making it a microcosm of what ancient Greece was. The site also includes a superb museum, full of first-rate sculpture, weaponry, athletic equipment and much more, including the wonderful statue of Hermes by Praxiteles – one of the very few surviving pieces by a famous ancient sculptor. This extraordinary and romantic monument is one of the least-visited World Heritage sites in the country, due to its remote location in the rugged mountains of Arcadia. The same remoteness has ensured its extraordinary preservation, comparable to the better-known Greek Temples of Sicily, as it was never used as a quarry. The modernist tent-like structure that currently covers the site to protect it from erosion adds to the strange and out-of-this world atmosphere that prevails at this near-perfect example of a 5th century BC Doric edifice. Getting to Bassai entails a drive through some of the Peloponnese’s most remarkably scenery and some of the region’s famously beautiful mountain villages. Five World Heritage sites (Mycenae and Tiryns are listed as one) make our Exploring the Peloponnese our second-richest tour in this regard (after Exploring Sicily). 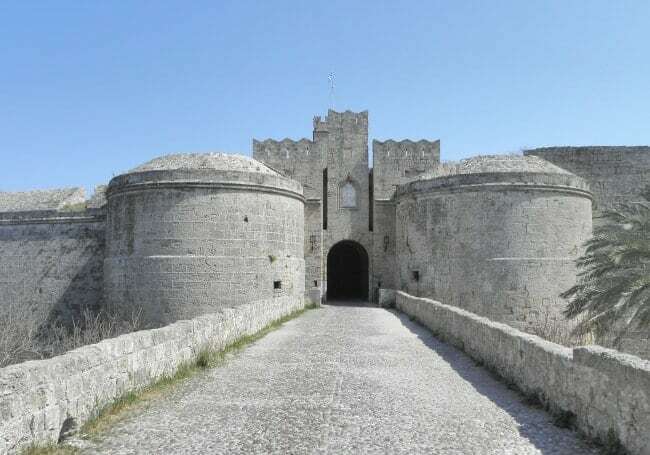 This might change in the future, as the Venetian fortresses of Methoni and Nafplio, as well as ancient Messene, are considered possible contenders. From the Slopes of Mount Olympus to Shores of the Aegean: the Archaeology, Food and Wine of Macedonia is our definitive tour of Northern Greece. It includes three World Heritage Sites at present. 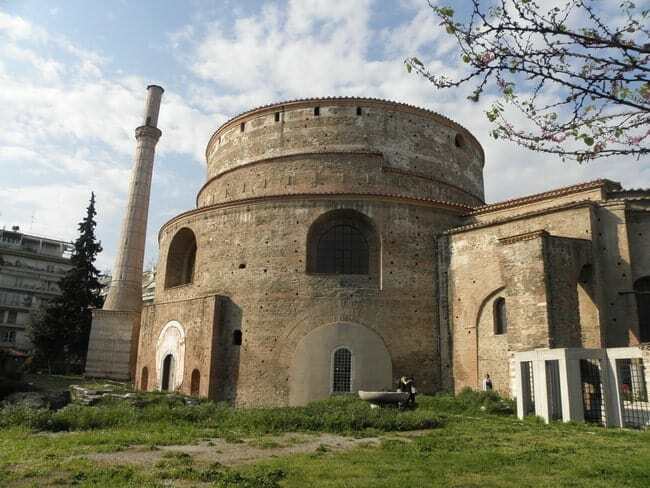 The 4th century AD Rotonda at Thessaloniki. They are just one aspect of that truly fascinating city – but a highly important one. The city, founded about 315 BC, became the main centre and port of Macedonia under the Romans and has remained so until the present day. It was especially significant in Late Roman and Byzantine times, when it was a seat of power, an economic hub and a place of fine art and architecture. Key monuments include the Rotonda, originally built as a mausoleum to the Roman Emperor Galerius around AD 300 and later dedicated as a church of St. George, the 5th and 7th century BC enormous Basilica of St. Demetrios, the 5th century Church of the Virgin Acheiropoietos and the splendid 8th century Agia Sophia. On our tour, we also see the city’s excellent Archaeological and Byzantine Museums. Ancient Aigai, better known by its modern name Vergina, is one of the most spectacular visits on any of our itineraries. The site was founded as the new capital to the Kingdom of Macedon by Philipp II, the father of Alexander the Great. When Philipp was murdered there in 336 BC, Alexander had him buried with lavish grace goods of jewellery, finery, furniture and weaponry. The mound covering Philipp’s and a series of other royal tomb was discovered in the 1980s, yielding one of the world’s most astonishing assemblages of archaeological treasure. It is now presented as an unbelievably well-presented underground museum. In the near future, Philip’s Palace and a second museum will be added to the site’s attractions. Meteora is one of Greece’s best-known sites and perhaps its most picturesque, famous for its series of eremite monasteries, set in seemingly impossible locations on the tops of steep and tall rock pillars overlooking the fertile Plain of Thessaly. Monastic activity here began in the 11th century, but reached a peak of activity in the 14th to 16th. 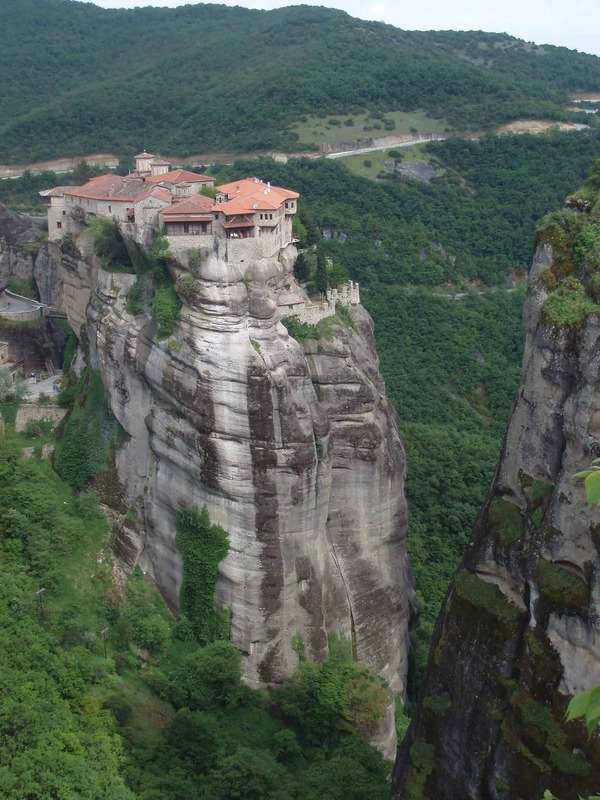 In Meteora’s heyday, there were 24 monasteries, of which four are still occupied. They are fascinating not just for their incredible setting, but also for the fine examples of 15th and 16th century fresco paintings preserved in the chapels and attendant buildings. The Archaeological Site of Philippi, another visit on From the Slopes of Mt Olympus to the Shores of the Aegean, is a candidate for future UNESCO listing (I believe it will be Greece’s next site to reach that stage), as is Mt. Olympus itself. Intrepid visitors, as long as they are male, could also add a visit to the Monks’ Republic of Mt. Athos, another listed site. 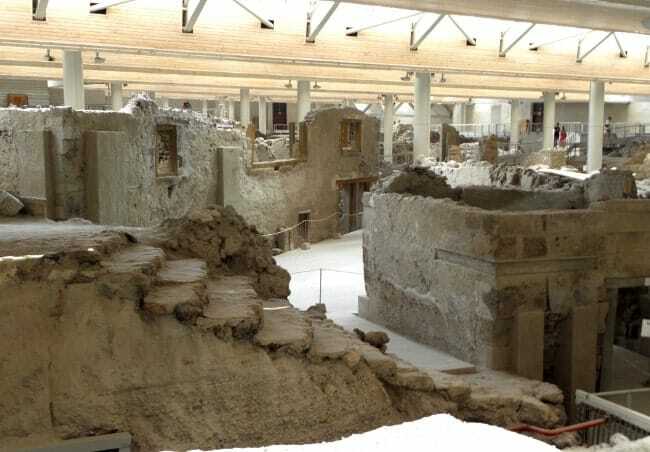 3,600-year-old houses, preserved by a volcanic eruption, in the Bronze Age town of Akrotiri. Surprisingly enough, our Crete tour includes no World Heritage sites so far. 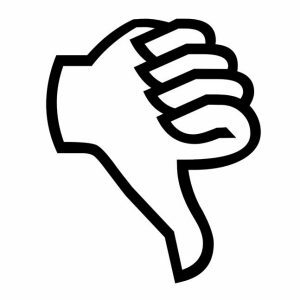 The reason is a deplorable one: none of the island’s remarkable cultural, archaeological and historical heritage has been granted UNESCO recognition yet. Over time, that might change: the Minoan Palaces of Knossos, Phaistos, Malia, Zakros and Kydonia are candidates, as are the Venetian fortifications of Iraklio, Rethymno and Chania. The same lack applies to our Cruising to the Cyclades, but is certainly not a reflection of a lack of fascinating places to see. No applications have been made so far, but I foresee that the Bronze Age city of Akrotiri on Santorini will one day receive UNESCO recognition. Our second great island cruise, Cruising the Dodecanese, is a different affair. Three places along this grand itinerary have already been added into UNESCO’s World Heritage list. 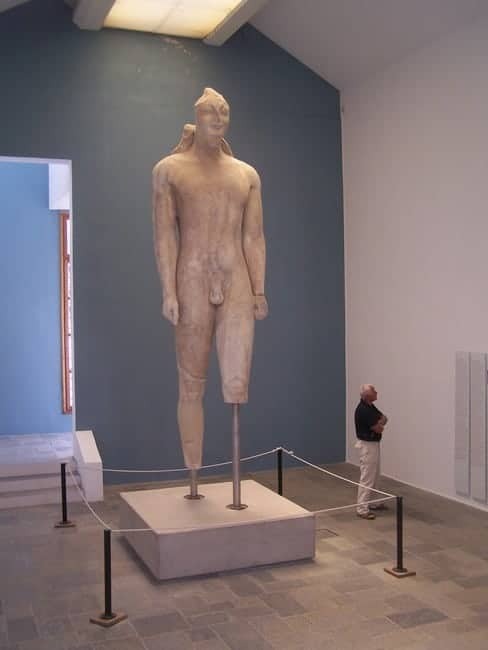 The extraordinary Great Kouros from the Heraion of Samos. This double listing comprises one of Greece’s most astounding archaeological landscapes, especially for remains of the 6th century BC Archaic period, as already noted by Herodotus in the 5th century BC! Modern Pythagoreion occupies the site of ancient Samos city, with its huge harbour mole, massive walls and the amazing Tunnel of Eupalinos, a 1000m-long rock-cut channel that allowed an aqueduct to supply the city with water from the other side of a mountain – certainly a masterpiece of very ancient Greek engineering and a milestone in the history of civil engineering! The nearby Heraion, birthplace of the Goddess Hera, sister and wife to Zeus, is now a remarkably atmospheric place set in a coastal swamp. Little remains of its once mighte Temple, one of the three great Ionian edifices, but the museum at Vathi is a veritable treasury, holds countless wonderful items excavated at the Heraion, among them votive offerings from all over the Mediterranean and far beyond, as well as key specimens of Archaic metalwork and ivory carving, and a series of extraordinary colossal sculptures. The fortress-like Monastery of Saint John, surrounded by the whitewashed mansions of Patmos Chora. This is a a rich assemblage of medieval (and later) sites on that tiny island. Patmos is the setting of the late 1st century AD vision described in the biblical Apocalypse, inspiring the great monastery founded in 1088. Over time, that fortress-like main monastery, decorated with superb frescoes of 12th century and later dates, gave rise to various further monasteries and hermitages throughout the island, including the one covering the cave where the vision is said to have taken place. Later, from the 15th century onwards, an affluent town grew around the main monastery, populated by refugees from now-Ottoman controlled Constantinople and later from Crete. Today’s visitor, thus, does not just have a chance to admire a wonderfully convoluted example of Byzantine architecture and fresco decoration, but also the serene and impressive mansions of the labyrinthine Chora surrounding it. 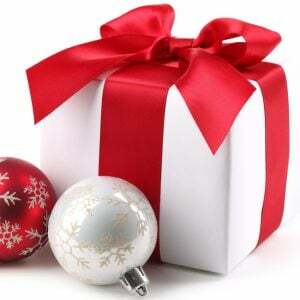 As always, our experts guide make the experience even more memorable. The 16th century D’Amboise Gate into the fortified capital of the Knights of Saint John on Rhodes. The capital of the largest island in the Dodecanese is a place of immense historical depth. Set upon the remains of an ancient Greek city founded in 408 BC and its Roman and Byzantine continuation, the city as experienced today is essentially the creation of the crusader Knights of Saint John, who took over the island in 1309 and controlled it, along with most of the Dodecanese, until 1522. Its medieval street-scape, one of the most comprehensively preserved of its kind, is surrounded by a truly astonishing set of massive walls and moats of huge dimensions. Inside the town stand a host of monuments, including various churches and chapels, the auberges or headquarters of the various tongues (branches) of the Knights, the Hospital of the Knights, now housing the Archaeological Museum, and the Palace of the Grand Masters with further exhibits. As always, out expert guides help our guests to make sense of all this and to tell you a great many stories attached to the place and places. As you see, there is a lot of World Heritage to be discovered, enjoyed, explored and admired in Greece. You can start doing so by joining us on one of our tours in Greece! If you enjoyed this, also have a look at our previous post on Ephesus and UNESCO World Heritage on our tours and cruises in Turkey and on the next one in this series, about World Heritage on our trips in Italy.